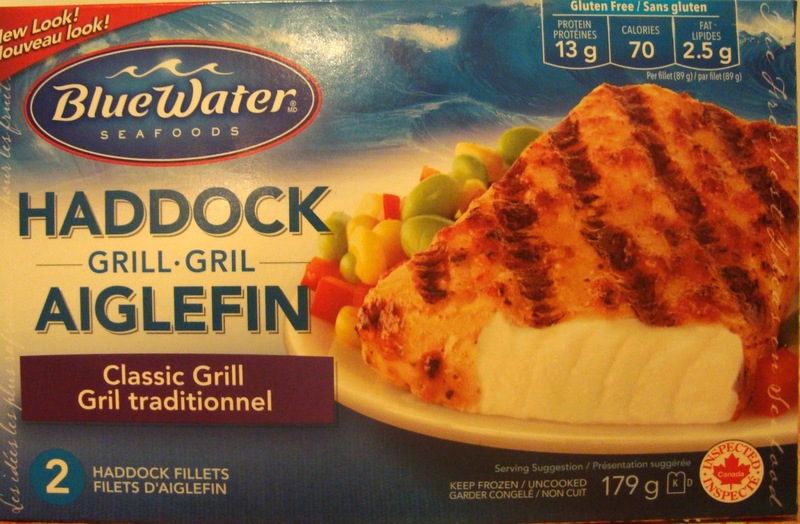 I was approached by BlueWater Seafoods and asked if I would like to review one of their Gluten Free products. After thinking about it, I said yes and was sent a very useful sling bag and a free product coupon to redeem for one of their Gluten Free items. I chose to take on this review because I feel that BlueWater Seafoods truly wants and values my honest opinion. To me, that is VERY important. I chose to try the Haddock Classic Grill. Ever hear the phrase "don't judge a book by it's cover"? Well we have a case of that here. Upon opening the box, you are presented with two packaged fillets that leave a lot to the imagination. 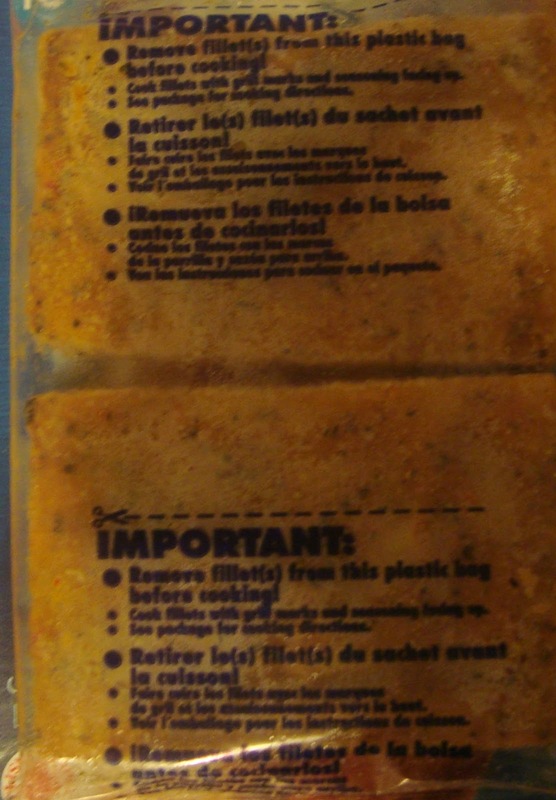 Frozen food is not pretty. It's convenient. I followed the instructions for oven use. If anyone is brave enough to try the microwave route, please let me know how that goes for you. 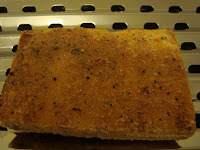 Being Celiac, its hard to find fish that you can just pop in the oven and eat. Almost everything is breaded *cringes* in wheat. I had not explored eating fresh fish very much as all that pin boning and prep scares me to be honest. I have to say that I am really impressed with the Gluten Free indication on the top right corner of the box! If more companies took little steps like this, my grocery shopping time would be cut in half. BlueWater Seafoods participates in the Trusted Catch program. "BlueWater is committed to protecting and enhancing the sustainability of seafood resources and is working actively to support this under our Trusted Catch program. Trusted Catch encompasses all of our sustainability initiatives, from sustainable seafood sourcing to other green efforts including a more efficient plant and distribution network. Regardless of where our seafood is caught and processed, BlueWater uses the same strict, rigorous quality control processes to ensure that we provide you with the safest, most wholesome and delicious seafood products on the market – not only for today, but for generations to come." Eighteen minutes after oven entry (oven temperatures vary) dinner was ready. What a transformation! The frozen brick turned into a beautifully cooked piece of fish. My first impressions of this fish were boldly changed upon taste. It was moist and flavorful. Usually, I'm the first person at the table to add a sauce or a dip to what I am eating. Not this time though. 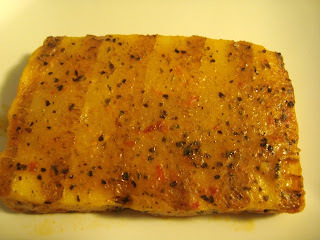 The seasoning really enhanced the flavor of the fish without overpowering it. No need for anything extra here. The verdict? Pretty sure that I will by this product again as it is very simple to make and the price point of $4.99 per box is not overkill. I like that this is something I can make for myself on a busy night, without a hassle. 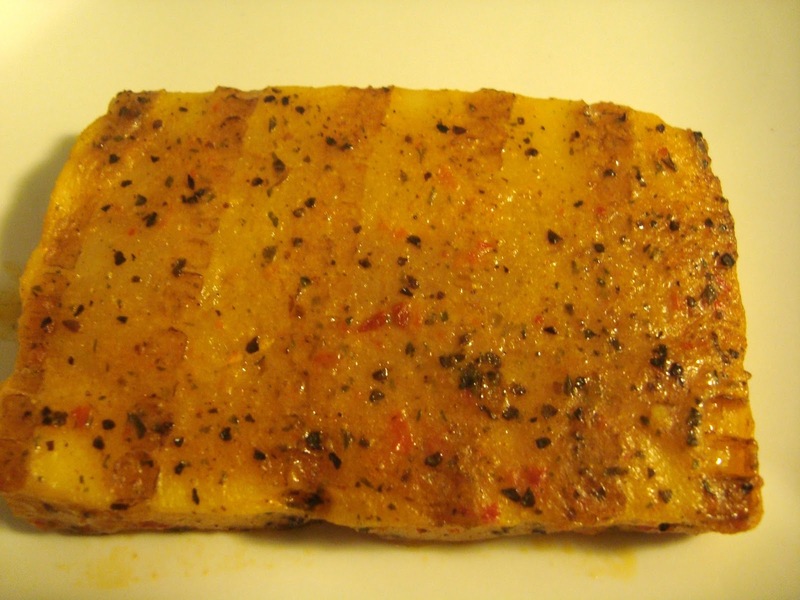 Since I only cooked the one piece of fish, I am eager to try out a recipe from the BlueWater website with the next piece. Don't forget to visit the BlueWater Seafoods website and make sure you check out their awesome Gluten Free recipe section. 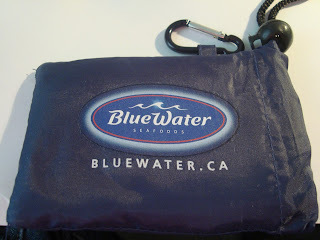 The great folks of BlueWater Seafoods have supplied me with THREE prize packs to host a give away with. It's been a long time since I had a breaded fish. Would love to try this! The product I tried was not labelled GF but it is new and it was clear of all gluten containing ingredients etc, awesome! That looks great! I love fish, but hadn't seen this product before. I tend to buy fish that is cleaned and frozen, but with no seasoning. This looks like a great option for nights I don't want to try and figure out what to make. Would be great to have a convenient, frozen fish option again! Wow. 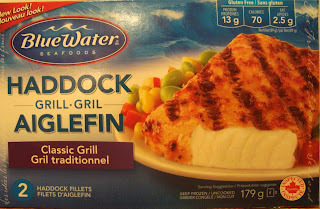 I love fish and am always on the lookout for gluten free and sustinable varieties (hence my blog - gluten free girl lol). Thanks so much for this giveawy-. The fish looks amazing! I miss stuff like this so much, I want to try this ASAP. I liked that you show your skepticism at first and how you were slowly won over. Thanks for recommending this. Always looking for easy gluten free foods. Thanks for featuring this - I like the idea that this is suitable as gluten free. Convenience is nice especially with gluten free as it can be extra work but taste is just as important! Thanks for sharing. I look forward to gluten-free meals. Thanks for the giveaway..hmm. that looks so good! Thanks for the great giveaway! Thanks for sharing looks delicious!